We all need help & advice at some point in our lives, probably more than we’d like to admit. Emotional and physical health problems can happen at any time and they can be stressful and worrying. Not only do we provide natural therapies to help with these “life” situations. 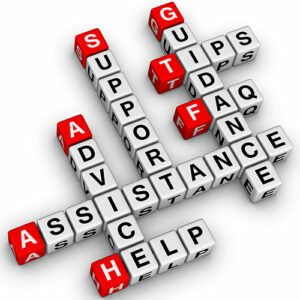 We also provide help and support. We’ve made the Riverside Natural Health Centre a hub, where not only can you access quality therapies, but where you can find help and support. Somewhere that you can turn to and talk to people who have experienced life’s ups and downs as well as emotional and physical health difficulties themselves. We use the holistic approach to help you find a way through. We see you as an individual with individual needs. Someone who is looking for answers and solutions to address health problems you have now, or want to prevent from happening in the future. Therapies are used in bespoke ways, because we know that everyone is unique. That’s why we offer many ways in which you can contact us for help & advice, such as: email, on line chat, telephone and face to face to find a therapy that suits you best. Knowing where to start can be the most confusing place to be. There are so many places where you can get help & advice these days. Your friends and family might be among the first people you ask for help and advice. Then there’s your GP who you may decide to turn to. The internet is the world’s web for knowledge. Sometimes all you want is some straight forward and honest advice without having to go around in circles trying to find it. One of the reasons why the Riverside is so successful is because that’s exactly what we do. If we do not have the answer you’re looking for, we can offer you advice to the best of our knowledge. If for some reason we can’t help, we will certainly point you in the right direction, because the Riverside team have good knowledge of how your mind and body works as well as good contacts. When you work with the Riverside team, you will soon know that you’re working with a team of professional therapists and practitioners who‘s aim is to get you well and help you to stay well. The Riverside team of professional therapists and practitioners work with various systems of the body such as: Skeletal, nervous, cardiovascular, digestive, immune, lymphatic, circulatory and urinary systems. The Riverside team of professional can help keep these systems from becoming overworked and over stressed. Water makes up more than 50% of your average body weight. Your body is truly amazing, your mind is too. They depend on you to give them a helping hand to keep you well. We can support you by being here when you need us, seven days a week. Our aim is to never miss your call.